Back in the spring of 2018, we launched the new Atmosphere platform alongside a beta program. 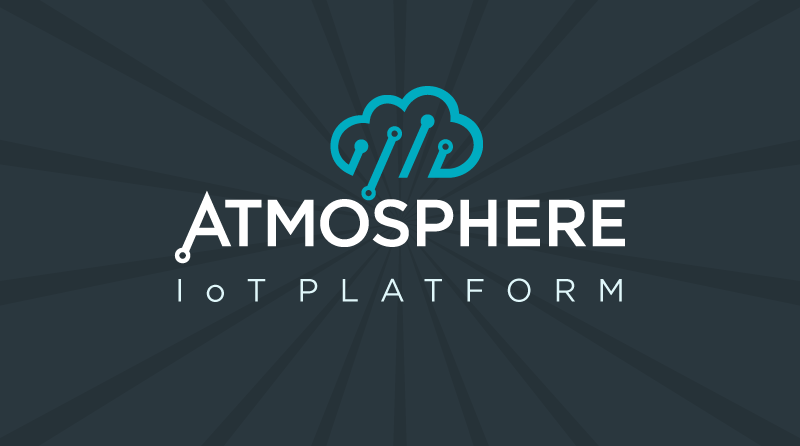 Since then, thousands of users have joined and started building IoT solutions on Atmosphere. User reception and feedback has been great, and it’s been instrumental in driving ongoing improvements to our user experience and development of expanded features. And from that, we are ready to conclude a successful beta period and move forward with the next evolution of Atmosphere. That’s why we’re excited to announce the addition of Atmosphere’s premium version to our list of offerings with today’s 1.2.3 platform update. Congratulations, you’ve just upgraded your account! Atmosphere users looking to scale up can now elect to upgrade their accounts from the free Developer plan to the Professional plan, unlocking access to connect up to 25 devices, receive additional cloud storage, and more. The Professional plan provides a self-serve option to add or subtract devices and pay on a monthly, pay-as-you-go basis for greater flexibility in testing and piloting IoT projects, with no up-front setup fees. Professional offers a natural next step for individual users seeking to enrich their development and take their projects to the next level, that they otherwise couldn’t achieve with the Developer plan. You can now check out the full range of Atmosphere’s offerings, a detailed plan comparison, and some upgrade FAQs on the Atmosphere Pricing Packages page. Glad you asked! Upgrading to Professional is simple. In the Atmosphere platform, we’ve added a shiny new Upgrade button under your account menu. Just click that button, which brings you to the new Plan section of your account area. Select the Professional plan, enter your payment details, then click Upgrade to confirm. Once you’re upgraded, you can immediately take advantage of the additional capacity and features on your account. If you aren’t ready to upgrade though, that’s not a problem. In addition to offering the new Professional plan, we’ll still have the free Developer plan for users who currently don’t need the additional scalability. It’s best to get your feet wet first before diving in, and you can upgrade or modify your account at any time. The Professional plan is just the start of things to come from Atmosphere, and we have big plans for rolling out a series of advanced plan offerings with a wide range of features in the months to come. So stay tuned as we work on improving the platform and providing a radically simplified solution to build, connect, and manage IoT products. Beyond the addition of the Atmosphere premium version, today’s platform update includes additional enhancements. Atmosphere now enables an NXP Rapid IoT device to be recognized as a UART serial device when connected to a computer. If a terminal is connected to that serial port, an output can now be displayed directly from the Rapid IoT itself. This is a subtle yet noteworthy feature for users looking to access the debug output from their device without needing to use a docking station. As usual, with every platform update we’re looking to improve the platform, and encourage your feedback. We’d like to hear your thoughts about our premium version, so be sure to let us know your thoughts and suggestions in our forums. And as always, be sure to download the latest version of the Atmosphere IoT mobile app and Atmosphere IoT Agent as well. Users can now upgrade their account to Atmosphere Professional! Upgrade today for an to increase your device limit and storage limit! Fixed bug with NXP Rapid IoT out-of-the-box demo where the LED’s brightness level gets set by Thread and then doesn’t reset if the user presses the LED control button. The NXP Rapid IoT’s onboard USB port is now used for serial debugging. The debug print element can be used to display this using the element’s baud rate of 115200. Fixed bug with the FXOS8700 element not working with ESP32 projects. Updated language of some element triggers and abilities for consistency across similar element types. Corrected issue while viewing a project’s app where the Bluetooth icon remained solid on screen even if the connection was dropped. Added a Bluetooth reconnection feature to the mobile app. If the connection is lost, the app will attempt to reconnect to the device automatically. New project featuring Sigfox use is now available as an example project within Atmosphere Studio. Adjusted setting so users will receive a warning if a connected device reaches 90% of it’s available cloud storage.